Remark ‘B’ is made applicable for Section code 194DA for Form 26Q, FY 2015-16, Q3 onwards. As directed by Income Tax Department (ITD), addition of challan option (i.e. is C9 correction) has been made available for Central and State Government, applicable only for statements pertaining up to FY 2012-13.
o Applicable for statements which pertains to FY 2015-16, Q3 onwards. o 10 digit alpha numeric value will be allowed under this field wherein first digit should be either ‘G’ (in case of 15G) or ‘H’ (in case of 15H) followed by 9 digit numeric value (For example, “G000000001” or “H000000001”).  Incorporation of latest File Validation Utility (FVU) version 4.9 (applicable for TDS/TCS statements pertaining to FY 2010-11 onwards) and FVU version 2.145 (applicable for TDS/TCS statements from FY 2007-08 up to FY 2009-10). 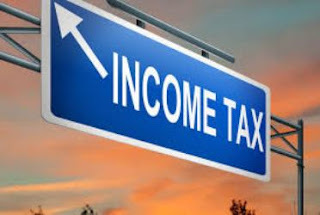 As directed by Income Tax Department (ITD), addition of challan option (i.e. is C9 correction) has been made available for Central (i.e. deductor category ‘A’) and State Government (i.e. deductor category ‘S’), applicable only for statements pertaining up to FY 2012-13.  This version of FVU is applicable with effect from December 19, 2015.